I've always loved comics, and have collected off and on for years. I'm currently in an 'on' phase. :) Anyway, long conversations with Karen & EJ Wiley led to the development of a story and a setting. 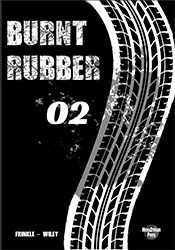 That led to buying a Light Table, getting some art pens, and the creation of Burnt Rubber. Rod Carson is a mechanic and street racer. When he gets a chance to drive a Ferrari 488, he gets a little more than he bargained for. This choice will set him on a dangerous track, with shady deals, damsels in distress (or causing it), car wrecks, hazardous driving, and a lot of money. Get the first installment now! 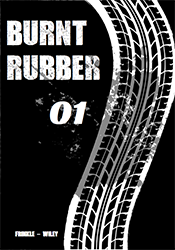 Then check out the website for a deeper look into the world or Burnt Rubber. Rod Carson is going to have to do a lot of explaining. Everyone wants to know what he did to that Ferrari and what he's going to do to fix it! Find out what he's going to do in the second installment of the series! Learn more about these books and the illustration and writing process behind them at www.BurntRubberComic.com!